Rum, the drink that makes us think of Pina Colada's and Bahama Mama's. This liquor is the star of the tropical drink scene and for those of us the profoundly dislike sugary sweet drinks rum seems to be off the table. 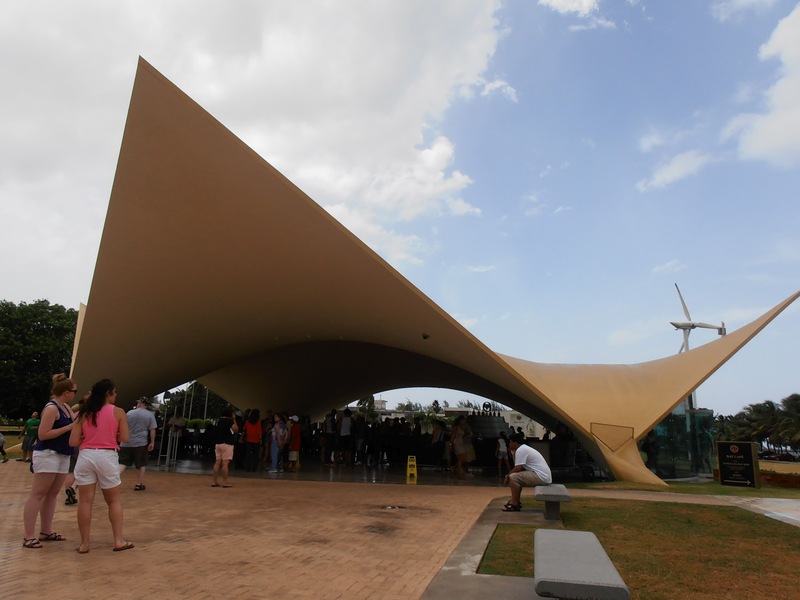 Recently, I traveled to Puerto Rico, Bacardi Central. I tried a sugary cocktail and immediately regretted it. It was more like a slushy and it made me sleepy. So my next drink was a Mojito- not too bad, better than the ones here in NYC with two thousand half crushed mint leaves that constantly get in my way. 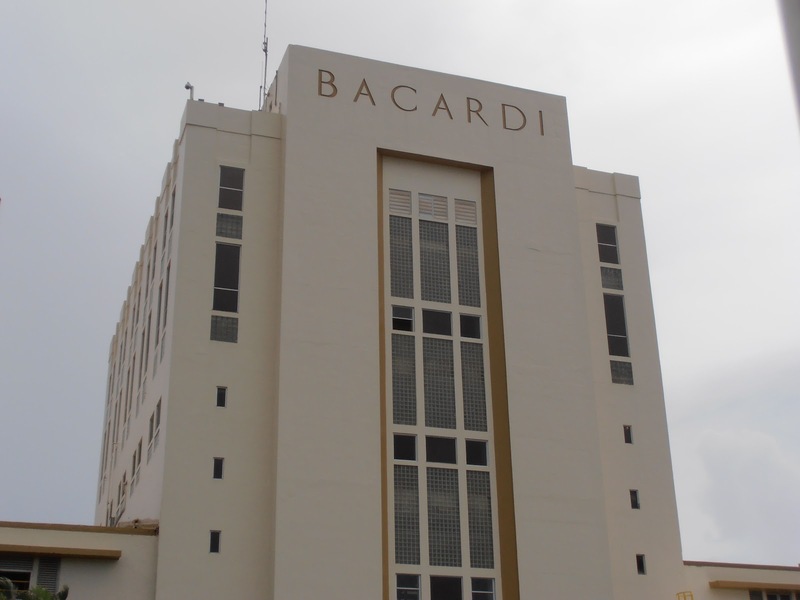 I decided to ask my lovely boyfriend if he wanted to tour the Bacardi factory, he thought it sounded fun so the next morning we decided to head out via taxi. Upon pulling up we were ushered to the hospitality area where we signed up for the English Speaking tour which started in 20 minutes and were given a batch of free drink tickets. The bar was empty so I moseyed up and asked the bartender, "Do you have a drink that doesn't involve a daiquiri, punch, or Cola?" He said, "You can mix it with club soda." Ew! I thought, but it was a free drink so I might as well try it and I heart club soda so it can't be that bad. So I perused all the flavors. Limon, Coconut, Melon, Green Apple- blah blah blah... wait, Torched Cherry? Rock Coco? What are these? I chose Torched Cherry. It was like a Cherry soda. No joke. Without the brown stuff. It was probably the most delicious thing I drank in a very long time. It smelled so good and tasted so refreshing. The Man decided to have a Rum Punch (meh) then he tried my drink, and the look of surprise on his face was PRICELESS. "That's really good!" Then it was time for the tour. I learned all about rum and how it's made and how Bacardi invented the process by which we now enjoy modern rum. The reason we have light rum is because this rich guy was bored and decided to tinker around with the process of distilling rum. I'm pleased to announce that I've never been more pleased with a the product of someone's boredom. 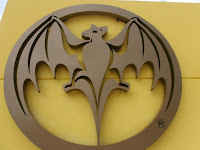 I learned about the bat symbol and how it came to be part of Bacardi. They had bats in their first facility and they would constantly chase them out of there, but Mrs. Bacardi brought up the suggestion that they have a symbol on their labels since many people at the time could not read and this would ensure to them that they were getting Bacardi's rum. So they chose the Bat and now it's the most popular rum in the world. 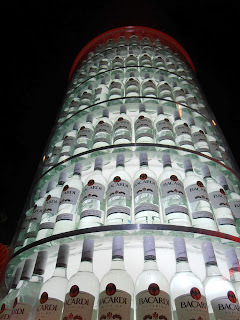 I created this post not to teach everyone about Bacardi, but to revive an interest in this classic liquor. It was VERY popular in the 1950's, and for any pinup party rum should make it's appearance but modern tastes don't always coincide with vintage cocktails. This is just a way to spark interest and conversation about this under-utilized gem and encourage you to head down and grab a bottle. Cheers!